Membee’s Promotions feature creates opportunities for you to create new and innovative ways to increase both membership and event revenues. The goal is to increase revenues, not give them away in the form of a discount. With that in mind, we’re going to dig a little deeper into a promotion designed to increase new member signups. These examples show you how simple promotions can help you increase revenues. A simple idea that applies to the sale of new memberships and event sales. You create a promotion in Membee that generates a discount code. You then send the discount code to members and encourage them to share with a non-member. The non-member could use the discount code to join or register for an event. This promotion achieves objective #1 & #4 listed above. A common situation would apply to event purchases. A discount would generate registrations that you would not get without it. Depending on your membership structure, the same concept could apply to new memberships as well. This promotion achieves objective #1, #4, & #5 listed above. Getting event registrations earlier can help your event build greater momentum that will yield even more registrations. This is an effective approach if the event is new and has yet to earn its “street cred”. This promotion achieves objective #3 & #5 listed above. A Conditional Promotion is another option in Membee’s Promotions feature. Basically, a Conditional Promotion works by automatically sending a discount code for a second time when a purchaser purchases the first item. The goal is to sell two things, not just one. 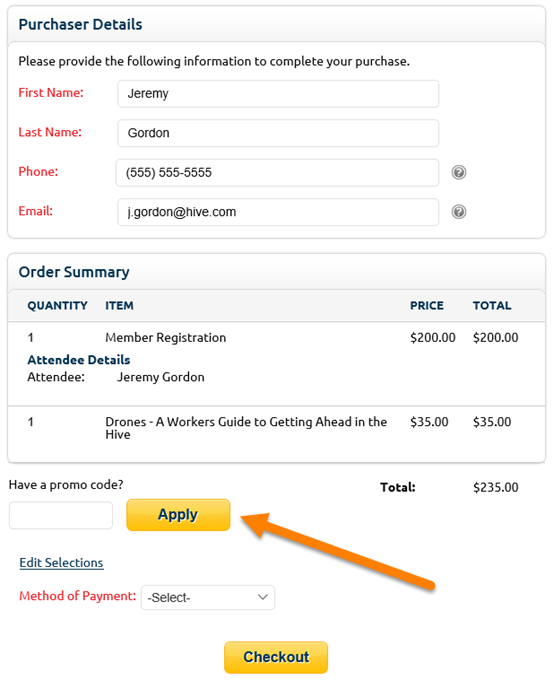 Create a conditional promotion where registration in a specific event by a non-member will trigger the delivery of a “100% discount” for the purchase of a membership. This promotion achieves objective #1 & #5 listed above. This conditional promotion motivates a potential new member to join and immediately gain access to an event discount, just like your long-term members. Because the promotion is conditional, the new member gains access to the discount only after they have acquired their membership. This promotion achieves objective #1 & #4 listed above. This might be the most beneficial conditional promotion. It aids in renewal by accelerating renewal while motivating members to renew in order to gain access to the event discount. 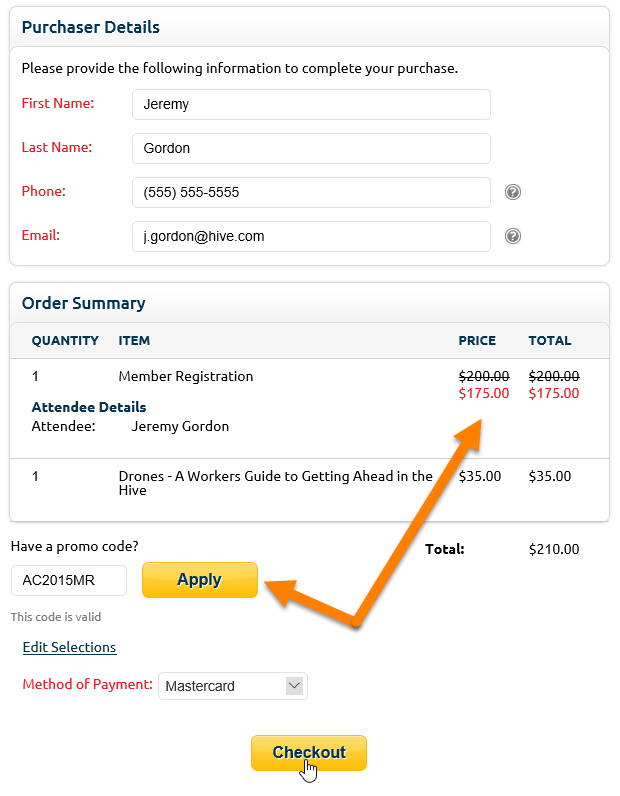 Your event wins through increased and accelerated registration thanks to the expiry date set on the discount. This promotion achieves objective #2, #3 & #5 listed above.